There is a myth in the conventional medical community that says that the natural hormones in a woman’s body cause breast cancer. This couldn’t be further from the truth! If this was the case, every teenager would wind up with a breast cancer diagnosis. 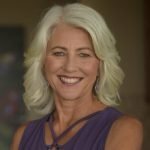 Here IS the truth: For the majority of the individuals facing estrogen-dominant breast cancer, the source of extra estrogen (estrogen dominance) is in the form of aggressive xenoestrogens created by the toxic air we breathe, the electro-pollution we are exposed to, the toxic food we eat, and the unhealthy lifestyle habits we engage in. The pharmaceutical industry would like you to believe that Tamoxifen and other synthetic hormone-regulating drugs are the answer to estrogen dominance. Let’s take a look at Tamoxifen itself to find out if this is true. Tamoxifen (sold as Nolvadex and Soltamox, among others), is the most commonly-prescribed “Selective Estrogen Receptor Modulator,” or SERM, on the market. More than half the individuals who are diagnosed with breast cancer take it in some form. Tamoxifen sold as Nolvadex and other brand names continues to be prescribed to millions of people every year despite these life-threatening side effects. In addition, congressional reports as far back as the 1990s have investigated Nolvadex’s parent company, AstraZeneca (formerly Zeneca), for alleged price gouging. According to a report published by the Center for Media and Democracy’s SourceWatch, AstraZeneca was one of the co-founders of National Breast Cancer Awareness Month. At the same time, its parent company, ICI Pharmaceuticals/Imperial Chemicals Industries, continues to manufacture agricultural pesticides and organophosphates such as DDT, PCBs, and Agent Orange − all of which have been linked to breast cancer! Under the right conditions, our bodies will naturally strive to maintain balance within. No matter what stage of life you are in, all naturally-occurring substances in your body work towards that end, including your hormones. #1: Get tested! The right tests will give you a full picture of your current breast health status. A Comprehensive Saliva Plus Panel Kit will check your “Estrogen Quotient,” as well as progesterone, testosterone, DHEA, and cortisol levels. An Estrogen Methylation test will measure methylation, which is an indication of how well you break down estrogen. #2: Add phytoestrogens to your diet. Phytoestrogens are found in lignan plant compounds such as flax, kale, sesame seeds, and some legumes. They can block xenoestrogens from attaching to estrogen receptors in the breast and replace them with gentler forms of estrogen. #3: Aid your liver through regular detoxing. 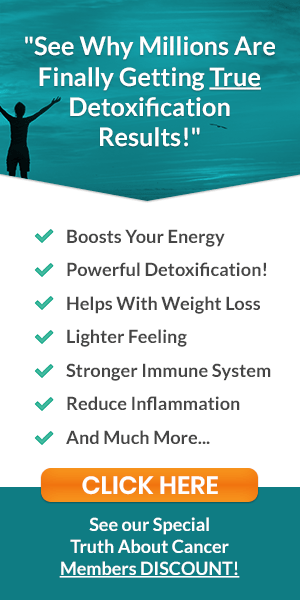 Regular liver detox helps it do its job of flushing harmful xenoestrogens from the body. Some gentle, do-it-yourself detox modalities include coffee enemas, short-term fasting, infra-red mats, sauna, regular exercise, and drinking plenty of fresh, purified water. #4: Eat Sulforaphane from Cruciferous Vegetables. Sulforaphane is a plant compound found especially in broccoli sprouts. Sulforaphane has been the subject of hundreds of studies for its effects on cancer as well as dozens of other dis-ease conditions. #5: Go organic when it comes to beauty and household products. The skin and the respiration system are two ways you absorb toxins. Reduce your overall toxic load by buying all-natural beauty products and household cleaners. #6: Limit your exposure to electro-pollution. EMF (electro-magnetic frequency) may be invisible, but that does not mean its threat to your health isn’t real. Turn off electronic devices when you sleep, maintain a distance between you and Wi-Fi routers, use the speaker function on your cellphone, and consider using a quality EMF protection device. #7: Commit to low-stress living. Being in constant flight-or-flight mode can lower immune system function, increase adrenaline and cortisol levels, and actually encourage cancer to grow. Meditating just ten minutes a day will point you in the right direction for stress-reduction. #8: Get enough quality sleep. Like stress, lack of sleep can literally “turn on” cancer cells. It is connected to cell damage, accelerated aging, depression, and immune system dysfunction. If you suffer from restless sleep or insomnia, this could also be related to hormone imbalance as well. #9: Supplement with vitamin D and Iodine. The right vitamin D levels may reduce your risk of breast cancer by 83%! In addition, women who are on thyroid medication are more likely to develop breast cancer than those that are not. Low iodine levels are often at the root of the problem. Find out if you are iodine deficient today. #10: Consider Bio-Identical Hormone Treatment. Allopathic doctors continue to prescribe synthetic hormone replacement drugs, despite its clear connection to breast cancer. Interestingly, when the word got out about this and other side effects in the early 2000s, use of artificial HRT therapy dipped significantly. The incidence of estrogen-fed breast cancer in the U.S. dropped 15% in response. Natural bio-identical hormone treatment does not increase your risk of breast cancer and may even have a protective effect. 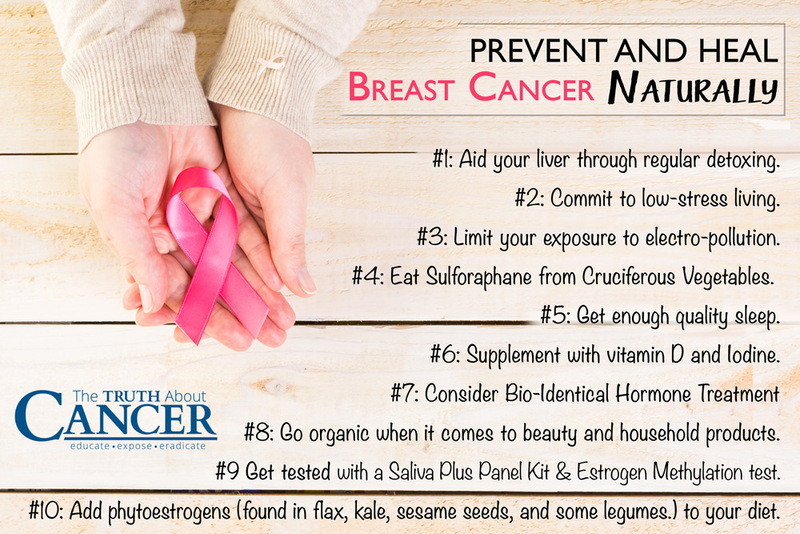 You can work with your body’s natural ability to heal breast cancer. Contrary to what we have been taught to believe, our bodies are not inherently “flawed.” Science is now realizing how environment and lifestyle can greatly influence your genetic code and your health. Through education and simple lifestyle changes, you can flush out xenoestrogens, prevent and heal breast cancer and live a full, vibrant life! 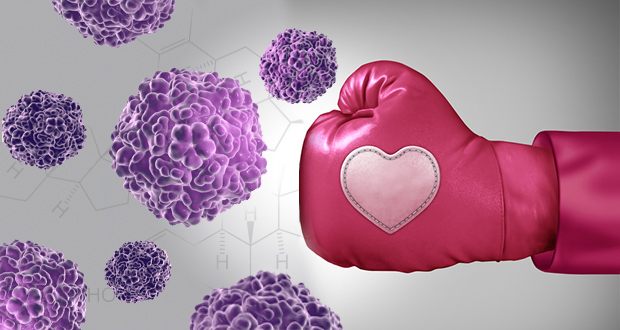 It is a myth that the natural hormones in a woman’s body cause breast cancer. If it were true, every teenager would wind up with a breast cancer diagnosis. For most people with estrogen-dominant breast cancer, the source of extra estrogen is xenoestrogens created by toxins that we breathe, eat, and are surrounded by in our environment. The pharmaceutical industry promotes Tamoxifen (sold as Nolvadex and Soltamox, among others) and other synthetic hormone-regulating drugs as the answer to estrogen dominance. More than half the individuals who are diagnosed with breast cancer take Tamoxifen in some form. Tamoxifen has been listed as a known carcinogen by the World Health Organization since the 1990s and by the U.S. National Institutes of Health since 2000. 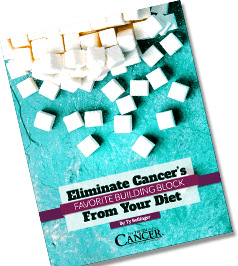 In studies it has been shown to increase the risk of uterine cancer, fuel tumor growth, increase the risk of stroke, and contribute to issues with blood clots and bone loss. Get tested! A Comprehensive Saliva Plus Panel Kit will check your “Estrogen Quotient,” as well as progesterone, testosterone, DHEA, and cortisol levels. An Estrogen Methylation test will measure methylation, which is an indication of how well you break down estrogen. The Shocking Truth- Do YOUR Hormones Cause Breast Cancer? Risk of endometrial cancer after tamoxifen treatment of breast cancer. Fragmented sleep accelerates tumor growth and progression through recruitment of tumor-associated macrophages and TLR4 signaling. I love eating raw broccoli and cauliflour florets and I love carrot sticks raw too. These vegetables taste much better raw than cooked. I ate collard green cooked in my soup and it has a strong flavor. I love to eat coleslaw salad, because I love the raw cabbage and carrots. One of those days, I am thinking about trying a raw vegan diet and doing natural juicing just to see, if it makes any difference to my body. Sounds great! I eat a 100% vegan, predominantly raw diet and used to (sadly not currently) juice. I love raw broccoli and cauliflower, even raw collard greens and Brussels sprouts. I received direct spiritual guidance that a raw vegan diet is our highest diet both physically and spiritually as we eventually progress to Breatharianism. I have had some small degree of breast cancer since 2006. Sometimes it’s gone or only present energetically. God physically demonstrated to me that if I were not eating a raw vegan diet I would by now have quite a large tumor. So I truly believe this diet is both curative and preventive. Plus I have read many stories of people who recover from cancer through a raw vegan diet and juicing. In my case, if my cancer becomes active it is due to stress, periodic return to alcohol use, and lack of sleep. In addition, I was shown that a major causative factor for the cancer I have/had is early childhood sexual and emotional abuse. That’s the hardest part for me to heal, but I am working on it. I’m hoping you try a high raw vegan diet! And the point is? That you love vegetables? Is that curing cancer??? Sabrina Carparelli, just Google Broccoli Sprouts + Johns Hopkins. Be informed! It’s the best way to handle complex or challenging situations. Fear-based snark comments aimed at people sharing strength and solidarity aren’t. Where can you find a dr that can test your estrogen level like you mentioned for step 1? 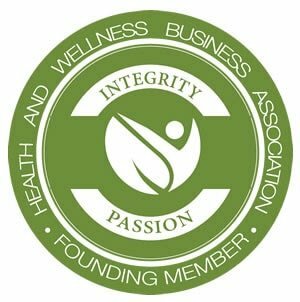 Try a Board Certified Holistic Nutritionist found through the National Association of Nutrition Professionals or a Naturopathic Doctor/ Doctor of Functional Medicine. Can I ask if Aswaghanda is good to take to balance hormones, my breast cancer was estrogen based and I heard Aswaghanda was good to take? Ms. Rago, in your opinion; would you believe that these articles are telling the truth about people who had terminal cancer became cancer-free by just eating a raw vegan diet, juicing, and fresh fruit without eating any meat, fish, dairy, eggs, poultry, and desserts? I told my father those stories, but he does not believe me at all. He told me, if I ever get cancer, I should follow conventional treatments like radiation and chemotherapy instead of doing alternative therapies. That is one of the reasons that I am terrified of getting cancer, because I do not want to do chemotherapy in which your hair falls out completely and you vomit, develop cold sores in your mouth, and feel numbness in your feet. I would not mind doing immunotherapy and viral therapy, because at least, no one loses their hair. 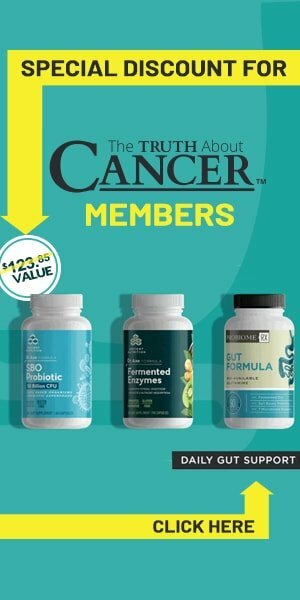 I also heard that terminal cancer patients also cured their own cancer by taking vitamin B-17, cannabis oil, hemp oil, apricot seeds, two tablespoons of organic cottage cheese with one tablespoon of flax seed oil, essiac tea, frankincense, liposomal vitamin C, probiotics, yoga, meditation, EFT, pancreatic enzymes, one teaspoon of baking soda with one tablespoon of molasses, and went to Mexico to do hypothermia, ozone therapy, laetrile therapy, IV Vitamin C, dendritic cell therapy, saunas, and many other alternative therapies. I will think of trying a raw vegan diet in the future and juicing just to see, if it will make any difference in my body healthwise. Yes, I do believe those stories. Plus I have my own experience. 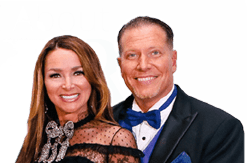 They are in various raw food books with either people who have/had their own clinics (Ann Wigmore, Brian Clement, Brenda Cobb) or authors (Carol Alt). All the treatments you mentioned are also effective in tresting or curing cancer, based on my own research and protocols I used for myself and my cat with mammary cancer (she even got IV Vitamin C and ozone therapies! ). There are literally hundreds of effective alternative treatments. But the foundations are diet, detoxification, and minimization of new toxicities, including those from harmful EMFs and geopaths. The healthy terrain of the body must be restored. For example, the cottage cheese/flax oil combination (which I used as well) is only one part of a strict vegetarian diet with two juices a day, sauerkraut/sauerkraut juice, sunlight, and a fair amount of raw food. And Dr. Budwig used raw quark in Germany. Once you see what cancer really is, and what the distorted energetic and physical nature of synthetic drugs is, it becomes clear that chemotherapy, radiation, etc., simply cannot restore health, even if they do result in a tumor response in the short term. We’ve been brainwashed by the pharmaceutical industry and medical community, although I do think many good doctors believe in these treatments. As far as adopting a raw vegan diet for health, I am sure you would see improvements. One major thing I experienced after esting almost all raw food and giving up alcohol was substantial detoxification (not pleasant). There are so many inspirational raw food books describing a myriad of health and spiritual benefits and personal healing stories.  Maybe you can check out some and see if you get inspired! I believe another very important preventative is to never, ever again purchase water in plastic bottles. Once that water is heated inside the soft (squishy) plastic, the plastic begins to leach out xenoestrogens. This also occurs when the bottles of water are frozen, especially for “taking along” on hot summer days. While most people who purchase bottled water will not leave the case in a hot car, we don’t know how the bottles were handled BEFORE purchase. During the summer, we see the bottled water companies transporting their wares to stores in delivery trucks–in the hot sun. How hot does it become inside those delivery trucks…and what were the temperatures when the bottles were stored before delivery? Are they stored in climate-controlled warehouses, or do the temperatures inside rise well above ambient temperatures in the summer or fall near freezing in the winter? Food for thought. As a physician, I have been advising patients for 20 years to Never, Ever purchase or drink water from soft plastic bottles of bottled water. Patricia is glass bottled water safe then? Grace John, I carry all of my own water in re-purposed glass bottles…but the water is from a Berkey gravity filter with a fluoride filter added. Clean glass should be ok, but you need to know the source of your water. I never drink or cook with town water…nor do my pets nor my plants and almost never my garden. I never drink from public fountains (because of the source of the water) and rarely drink tea or lemon water at a restaurant. The more I know about what is hiding in our foods, the less I eat out anymore. Patricia – I think I can actually learn something here from my pets. My goldendoodle (who later died of cancer) would not let plastic touch his mouth. He refused to eat from a plastic bowl, would not drink water from a plastic bottle, would not touch a plastic toy. We have filters on our water and drink and cook with that, but if we fill metal drink bottles with tap water the dogs will not drink it (unless they are super thirsty). So if drinking bottled water isn’t healthy, where do you find glass container water at? Or if you have a filter system, is that system placed on your tap water in the home?